On the banks of the beautiful Hunter River, Maitland is one of the oldest heritage centres in Australia. Just two hours’ drive north of Sydney and 35 minutes from Newcastle Airport, this historic town in the Hunter Valley wine region has many beautifully restored colonial buildings. Unlock the history of Maitland Gaol, built in the 1840s, and tour the heritage-listed site that once housed some of Australia’s most notorious criminals. Explore the historic town of Maitland too, with its colonial buildings, bustling market and superb art gallery.You can take the train from Sydney to Maitland, where you’ll find rural vistas and country hospitality alongside bustling shopping areas, including The Levee, a delightful mix of boutiques and cafes, restaurants and small bars. With 600 stalls to browse, the monthly Maitland Markets is brimming with fresh local produce, gourmet food and home-baked treats. 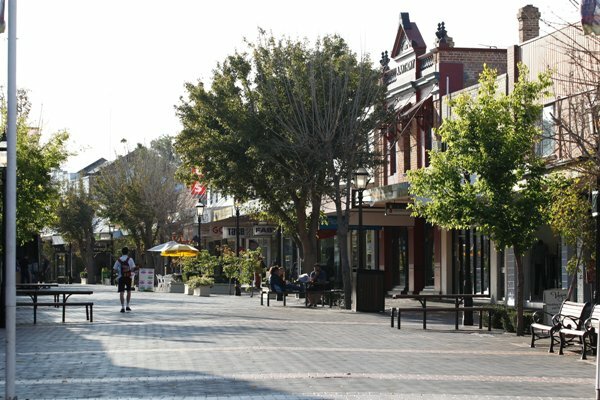 great way to explore Maitland’s history is on the East Maitland Heritage Walk. Among the many fascinating buildings, you’ll see colonial philanthropist Caroline Chisholm’s cottage and Maitland Gaol, which opened in 1848 and closed 150 years later. Join a tour of the goal or visit for one of the events held inside the walls, such as the Bitter and Twisted Boutique Beer Festival. Maitland Regional Art Gallery has a superb collection of works by famous Australian artists, including Margaret Olley, Brett Whiteley, Fiona Hall and John Olsen. The Australian Museum of Clothing and Textiles and the National Trust-listed Grossman House offer wonderful experiences, too.